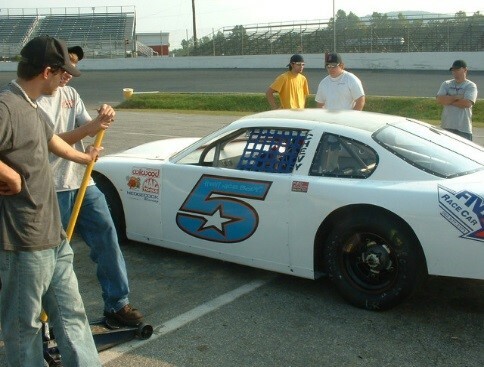 Hedgecock Racing Academy was established in August, 2005 with over 40 years’ experience building stock cars for NASCAR. Only Jay Hedgecock has built cars for and raced against some of the most legendary drivers and owners in the motor sports industry. No other fabrication school has the credentials, experience, resources, and connections as Hedgecock Racing Academy. At Hedgecock Racing Academy we don’t waste your time or money teaching you skills you will not need or use in the racing industry! Compare Hedgecock’s Stockcar Fabrication Certification program to the competition and you will find that the hands-on training we offer with today’s race cars is unparalleled versus our competition that include street engines and other non-racing industry cars. Compare our costs with the competition and you will find that Hedgecock Racing Academy offers the best, most intensive stock car fabrication training in the motor sports industry training and we do it at the most reasonable cost and in the shortest amount of time!!! Make your dreams come true today. Join one of the racing industries best known stock car fabricators, Jay Hedgecock, for his one of a kind Stock Car Fabrication Certification training program. Hedgecock is well known among the race teams, drivers and owners as one of the best fabricators in the sport. NASCAR industry names like Jeff Burton and Bobby Labonte were once employees of Hedgecock Racing. Training to proficiency on the equipment used to produce CHAMPION racecars! Fabrication equipment such as: Greenlee Tubing Benders, Milling Machine, Cold Cut Saws, Tubing Knotchers, Miller Wire Welders, Hydraulic Metal Shear, Sheet Metal Rollers, Iron Worker, Plasma Cutter, Hydraulic Press, Metal Lathe, Vertical Band Saws, Horizontal Band Saws, Porta Band Saws, Miller Tig Welders, Sheet Metal Break, Rotex Metal Punchers, Oxygen & Acetylene Torch, Bead Roller and more. Don’t let another class pass by without signing up for a new career in the racing industry. Hedgecock Racing Academy – Best school for your money! Receive a stock car fabrication certification and Job-Skills Classes for real world application. Hey, don’t take our word for it. Listen to what some of our students say and next time you’re at the track - ask around. Jay Hedgecock and Hedgecock Racing Academy have been producing solid results for years now. Competitive pricing, aggressive course curriculum and real world experience. Again, don’t miss your chance to be trained by one of the best racecar fabricators in the racing industry … Jay Hedgecock! Hands on racetrack training! REAL time racetrack training… available ONLY at Hedgecock Racing Academy! "I guess it's fair to say I received my formal education at Jay Hedgecock University." Learn to build a race car from the ground up as a team and then track test it as a class!